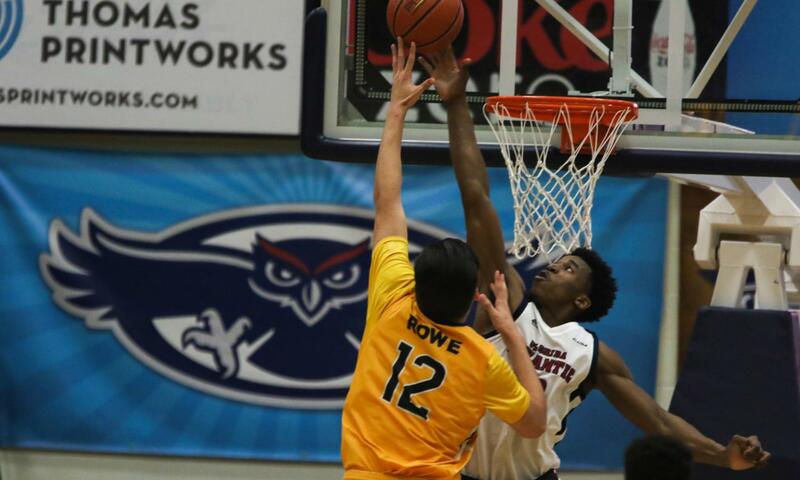 Junior forward Amir Smith (32) jumped up to block Southern Miss forward Tim Rowe (12) allowing FAU to regain possession of the ball. 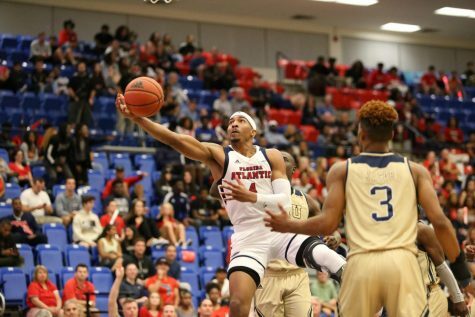 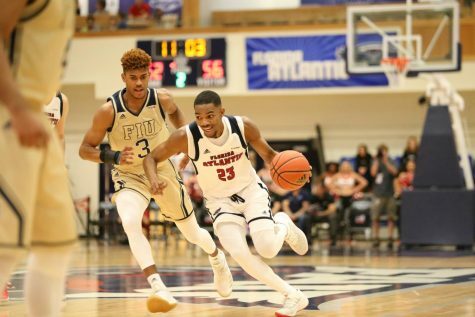 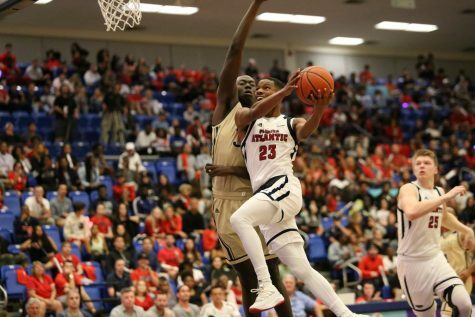 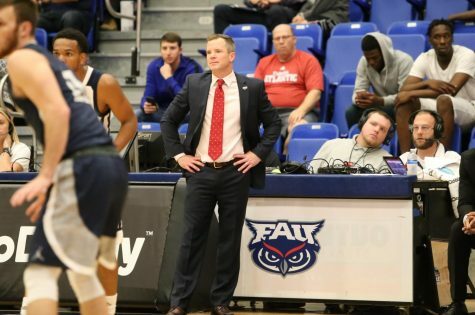 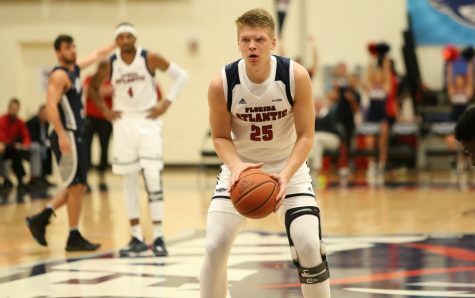 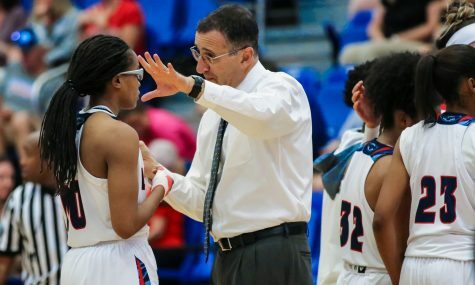 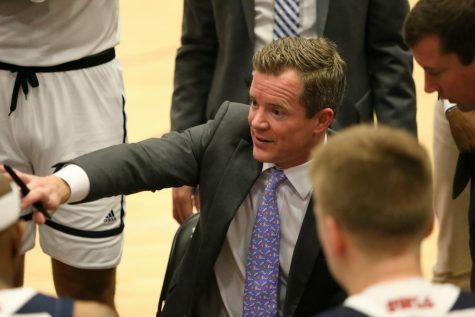 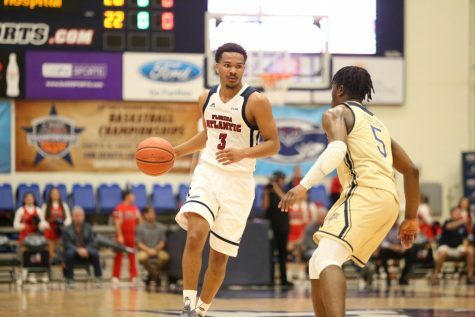 FAU went on to lose 77-66 against Southern Miss on Saturday night at the FAU Arena. 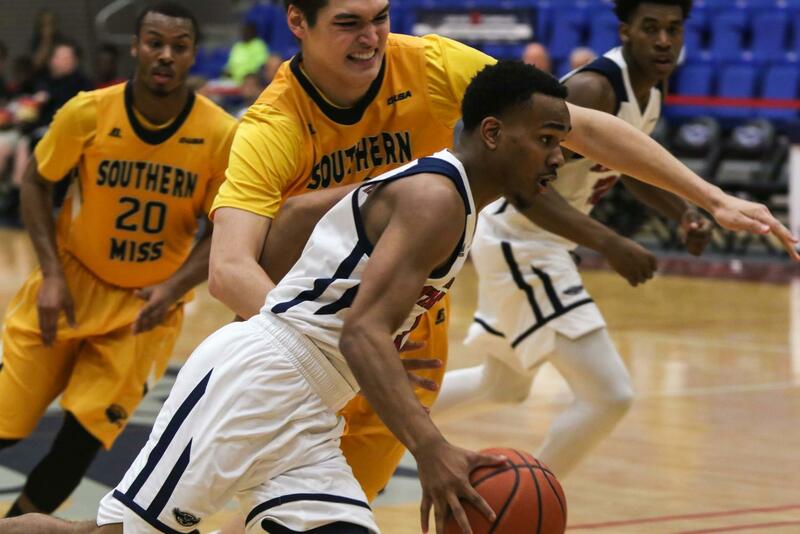 Junior Guard Anthony Adger (3) powered through Southern Miss defense in attempt to score a layup. 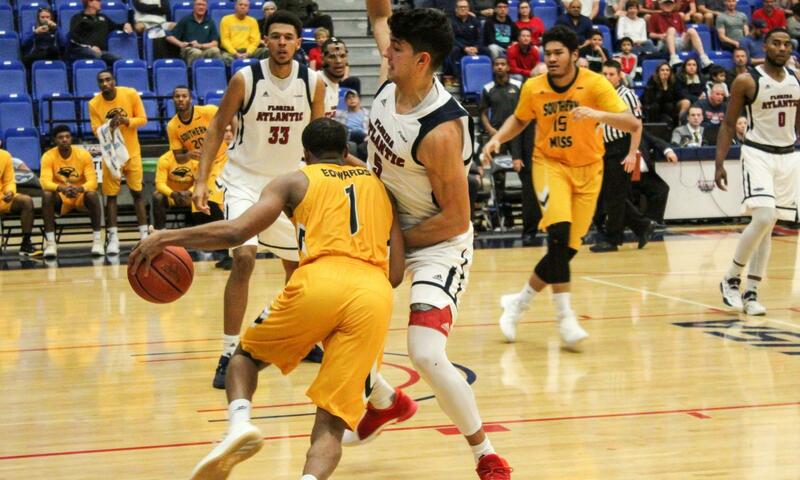 Junior Guard Anthony Adger (3) used a screen by William Pfister (5) to set up a play in attempt to score. 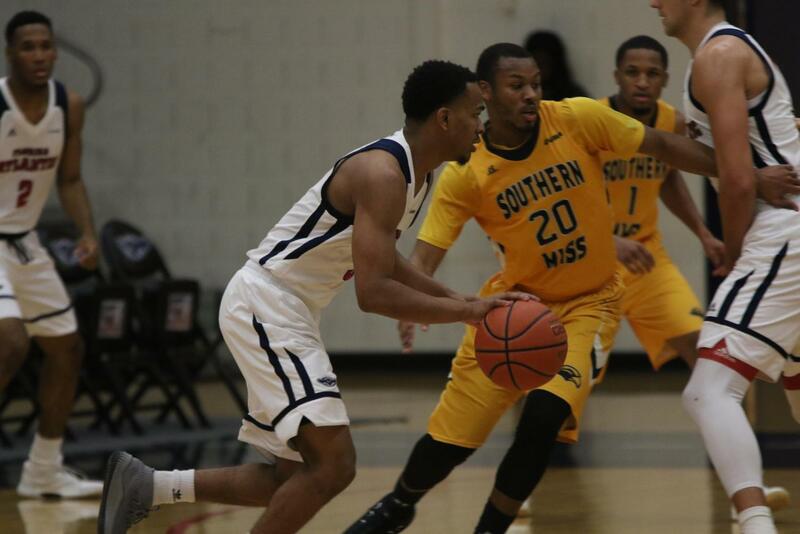 Amir Smith (32) junior forward moved the ball around Southern Miss defense looking for an opening to score. 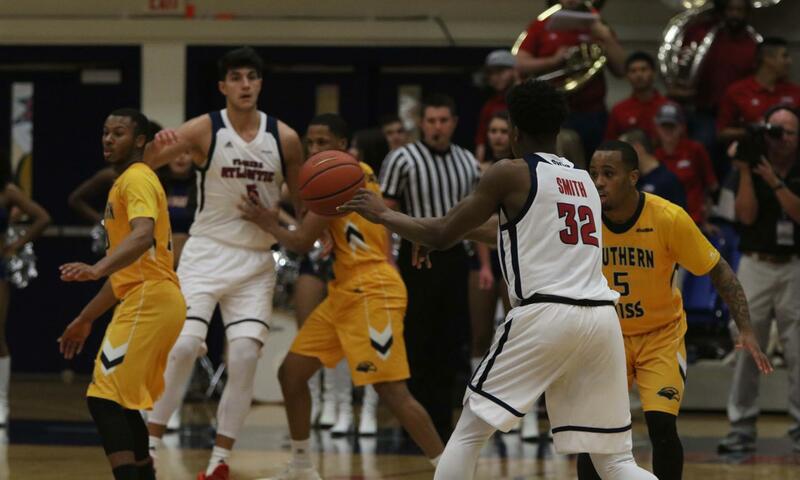 Graduate Student Payton Hulsey (0) looked for a pass when two Southern Miss players attempted to regain possession. 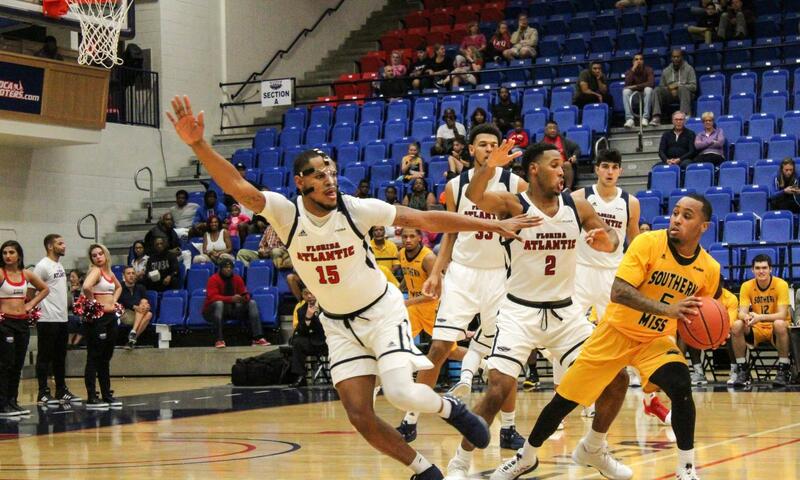 Forward William Pfister (5) attempting to block Southern Miss guard Cortez Edwards (1) from moving the ball down the court. 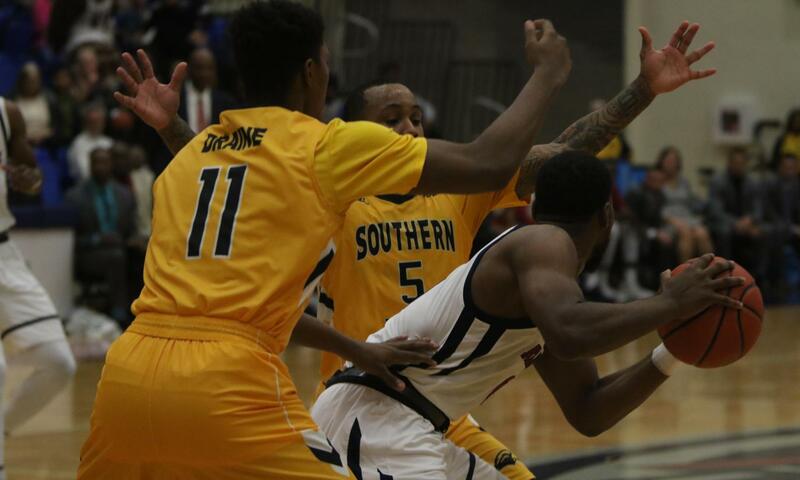 Justin Massey (2) and Jailyn Ingram (15) attempting to block a pass from Southern Miss Guard Tyree Griffin (5). 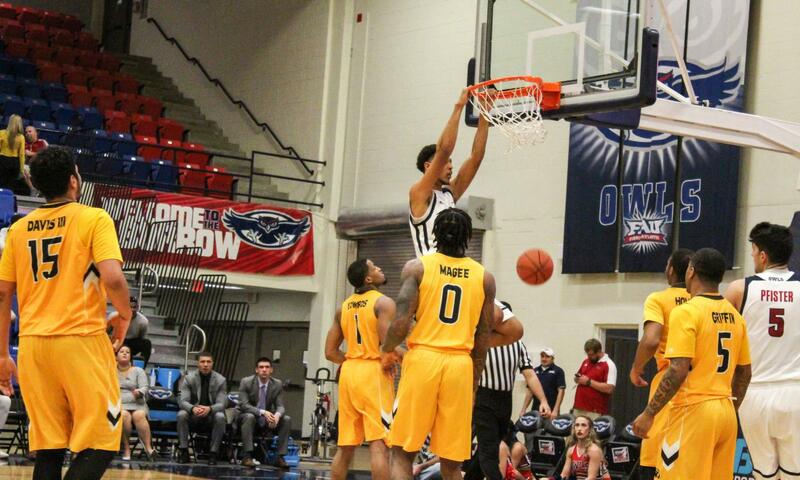 Center Ronald Delph dunked the ball over Southern Miss players scoring FAU two points.